One of the newest bars to open along the Ann Siang Hill dining and nightlife stretch is one you won’t be able to see from the road. Catchfly, opened by the Coriander Leaf Group, sits quietly ensconced in the basement of the shophouse that also houses the recently opened Coriander Leaf Grill and where The Screening Room is. The space that is the cosy and dimly-lit Catchfly could have made a perfect grubby American dive bar; instead the Coriander Leaf Group (probably) wisely went with more contemporary and classy digs to make a casual cocktail bar that looks akin to Regent Singapore’s grandiose Manhattan Bar but with the feels of Singapore Marriott Tang’s Plaza’s hidden speakeasy The Other Room. Ambience aside – which we reckon shouldn’t be the basis for any bar visit – there are two good reasons why you drop by. The cocktails here, concocted by head mixologist Liam Baer, would be the first reason. The American-born bartender – who has worked in bars across New York, Bangkok and Hong Kong – has cleverly puts together a modest cocktail list with libations that cover the spectrum between being artsy and fun to those familiar and high in drinkability. On the more innovative side, for example, you have the delicious coffee-based In It To Nguyen It ($24++). A combination of two different rums, coconut cream, cold brew coffee, condensed milk, roasted chicory and Averna, the cocktail leverages on the cream whipper – more commonly used in molecular gastronomy – to create a coconut cream and coffee based foam that sits atop the drink and when stirred through adds a lovely silky texture. Another one that borrows culinary inspiration is Salad Days ($24++), which recreates Mediterranean flavours by sous-viding tomatoes in gin for two hours, and then mixing the infused spirit with Gentian liquor, Bianco Vermouth, and then finished with a light dose of pink peppercorn and smoked olive oil culminating in flavours of a good summer salad. Where Baer really shines is with balancing flavours, which he does with an almost Japanese-like flair. His The Honey Badger ($22++) is a good example. Baer artfully layers the drink – with lemon, honey, ginger, and a rosemary-infused bourbon core – to give complexity and flavour without any of the components overwhelming the others. But our ultimate favourite has got to be the Taco Truck ($22++). The smoky sweetness from mezcal and tequila, tropical fruitiness of pineapple, citrus freshness of lime, and the heat from chipotle and a shrub made from habanero all combine to make Tex-Mex heaven. 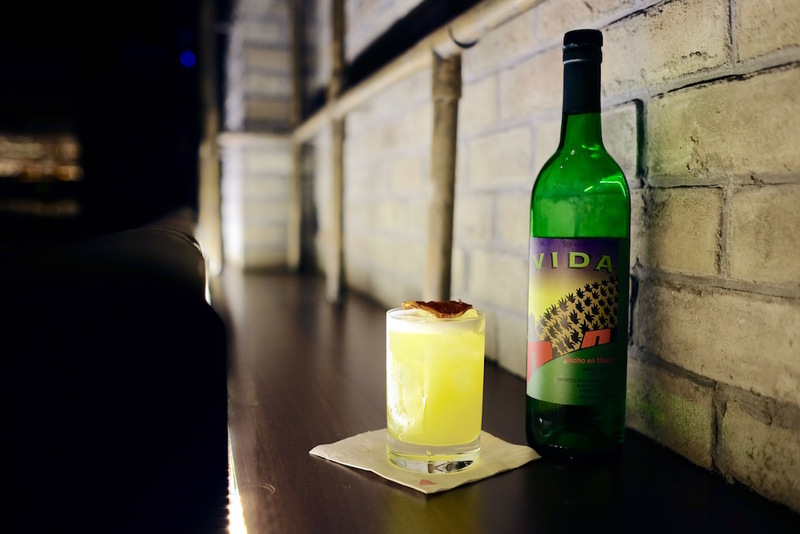 Even those who don’t normally like mezcal or tequila would be surprised by the superb balance of sweet, salty, sour, smoky and spicy notes that emanate from this liquid taco. The bar food here unsurprisingly come from the Coriander Leaf Grill upstairs; it’s pretty competent enough and thankfully not overly fancy. 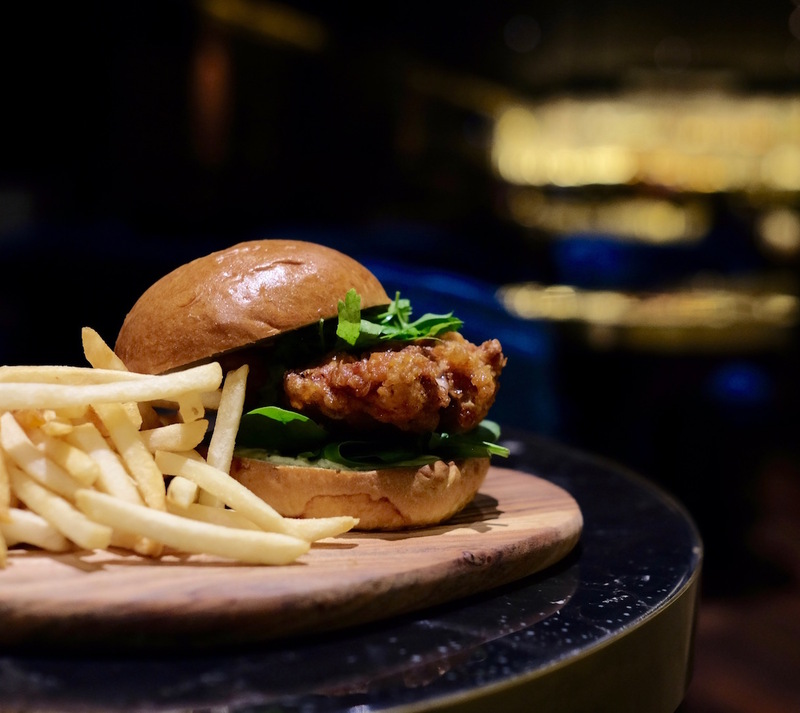 We do like the Sriracha Chicken Sandwich ($23++, above), a deep-fried battered boneless chicken fillet sandwiched in a sweet brioche bun and laced with spicy housemade Sriracha and an Asian slaw that will go very well with the Hitachino Nest White Ale Catchfly has on tap here. We haven’t forgotten the second reason you should come to visit Catchfly, and it’s for their Black Angus Beef Burger ($23++). The beef patty is incredibly juicy within yet scored with enough char on the surface to put to shame some – ahem – burger joints around town. There’s even an entire host of condiments provided so you can customise how you want your burger to taste like. We would’ve given them two thumbs up right there and then but we were afraid our burger would come apart in our hands. 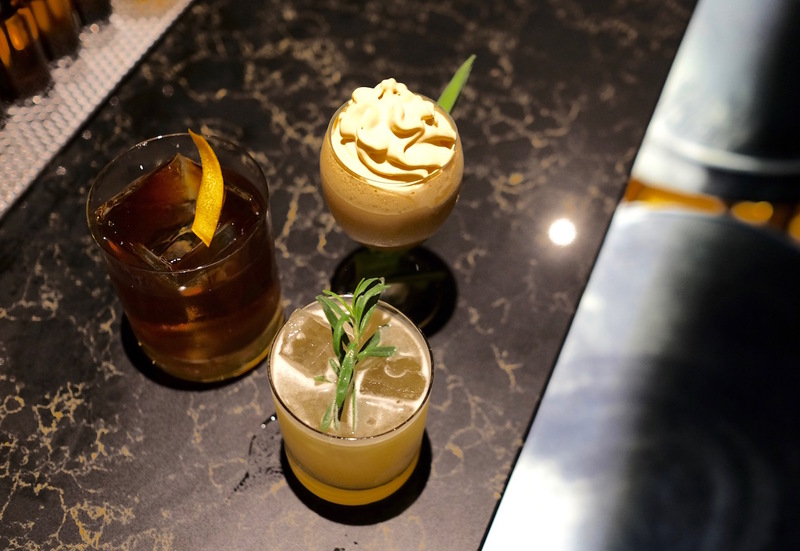 We’ll argue that Catchfly is a welcome addition to Ann Siang Hill; it adds more needed classy cocktail panache – joining a movement spearheaded by the likes of Asia’s 50 Best Bars inductees Operation Dagger and Nutmeg & Clove – to an enclave more known for rough-and-tumble drinking. All it needs now is more awareness and we may just see it nominated for The Bar Awards next year.